Orla Kiely, stylish linear stem Oilcloth design in grey. What's not to like, in stock and ready for dispatch today with free UK delivery available on orders over £80. Orla Kiely, stylish Big Green Owls design. What's not to like, in stock and ready for dispatch today with free UK delivery available on orders over £80. Where To Buy Orla Kiely Tablecloths? Surely direct from Jolee Tablecloths should be the answer. We are really pleased to have in stock and ready for dispatch four stunning designs from Orla Kiely. Made from 100% cotton and with a natural matte finish, these oilcloths from the Orla Kiely homeware range are a must for the style conscious. Orla Kiely's designs are epitomised with linear floral designs in stylish colours. Most people will have seen the Orla Kiely range of iconic bags but she does so much more than that. This is evident with her range of home fabrics such as this selection of oilcloth tablecloths. Whilst perfect for use as a wipe clean tablecloth our range can be used for so much more. If you are a keen crafter why not make your own Orla Kiely tote bag which would make an ideal shopping bag? Or perhaps an iPhone cover? Or even an outdoor cushion cover! Not sure how to sew with oilcloth? Then be sure to check out our blog post on How to Sew with Oilcloth. 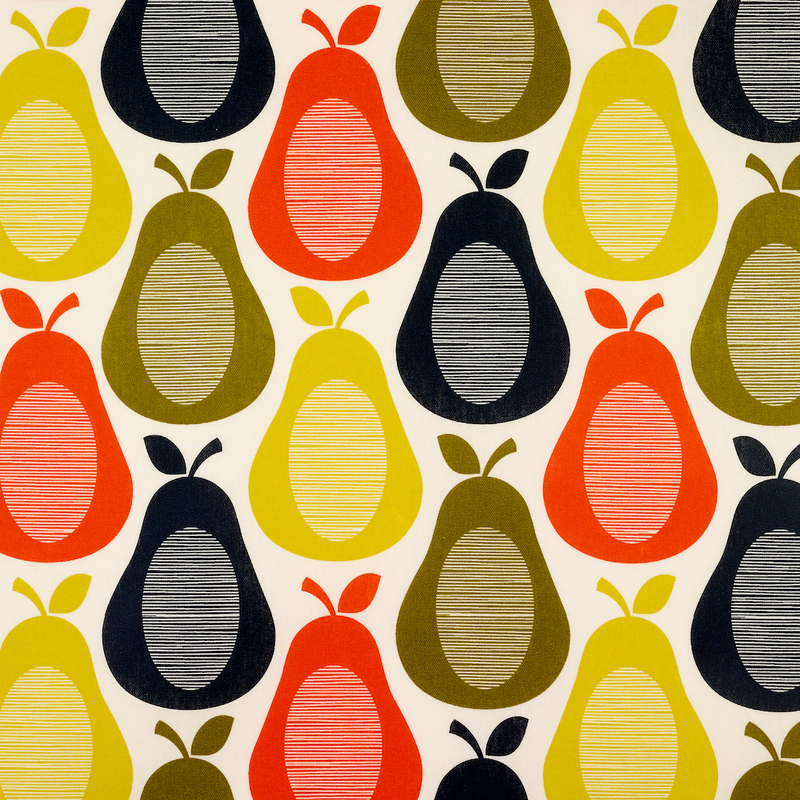 What Finish Is The Orla Kiely Oilcloth Fabric? All our Orla Kiely oilcloths come with a natural matte finish. This means you have a natural look and no reflective shine taking away from these stunning designs. Don't forget that we offer a range of optional extras with our Orla Kiely Oilcloths. Perhaps you want to use your tablecloth outdoors? We can cut parasol holes for you. Alternatively, if you can't see your size here we offer a bespoke service for extra-wide tablecloths. Finally if you are looking to finish your Orla Kiely PVC tablecloth fabric we offer a bias-binding service which you simply choose from the drop-down menu when ordering.